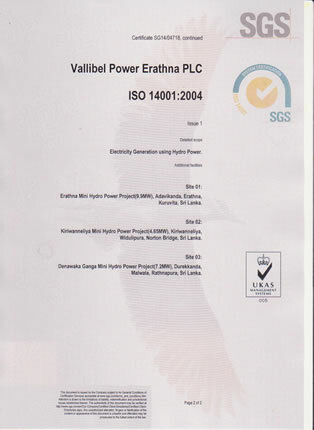 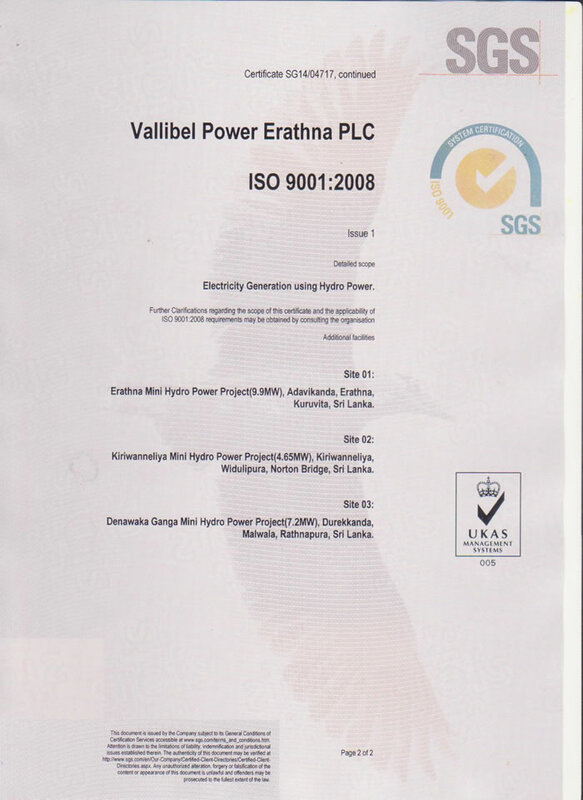 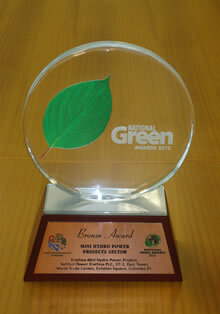 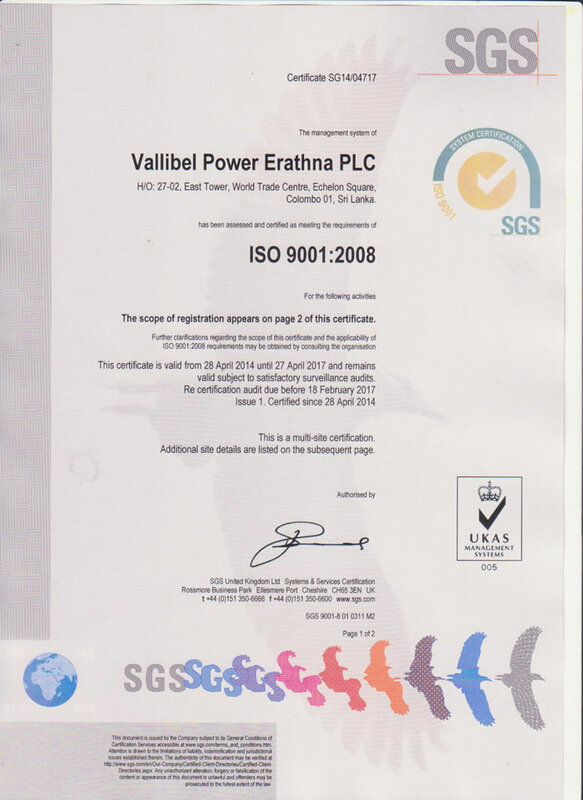 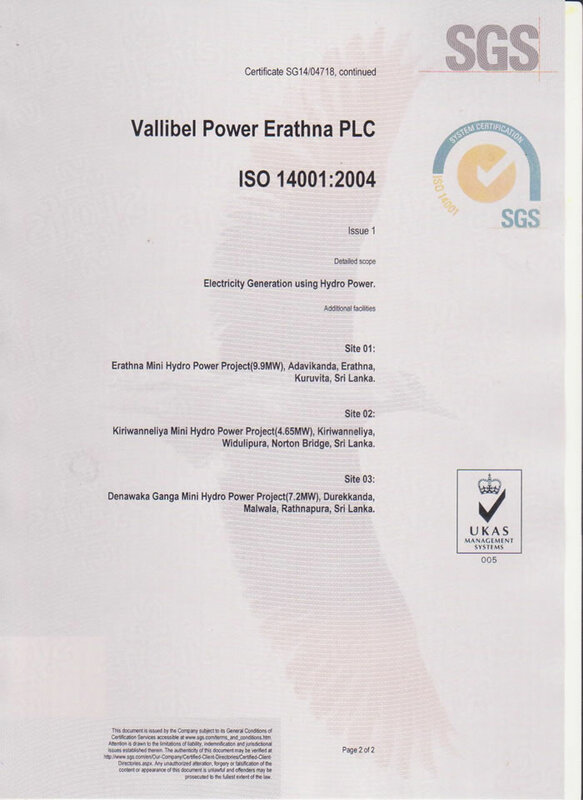 Vallibel Power Erathna PLC has been able to obtain ISO 9001:2008 and ISO 14001:2004 International Certificates for its successful implementation of Quality and Environmental Management Systems in all three power plants, namely, Erathna MHP, Denawaka MHP and Kiriwaneliya MHP. 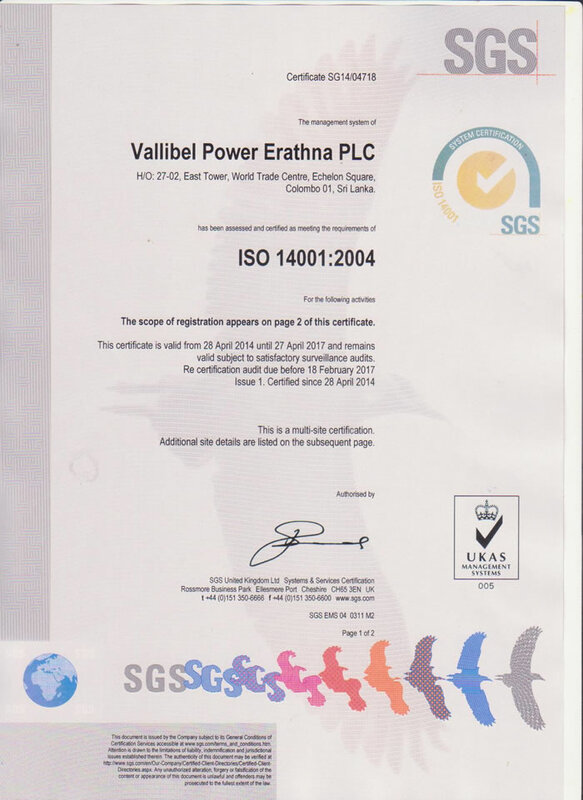 Two Certifications are valid from 28th April 2014 to 27th April 2017 subject to satisfactory annual surveillance audits. 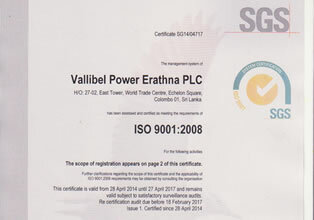 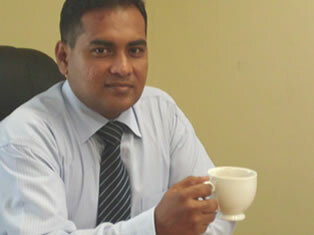 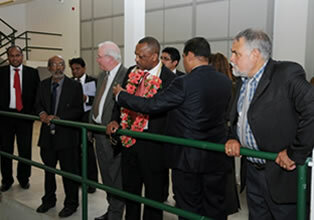 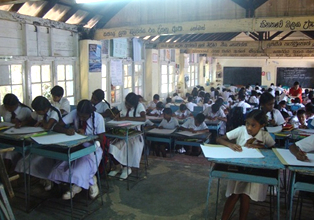 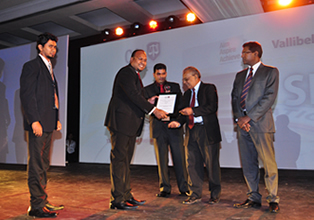 Company with its three power plants and head office were audited by SGS Lanka (Pvt) Ltd affiliating with SGS United Kingdom Limited to certify the processes with the international standards of International Organization for Standardization (ISO).